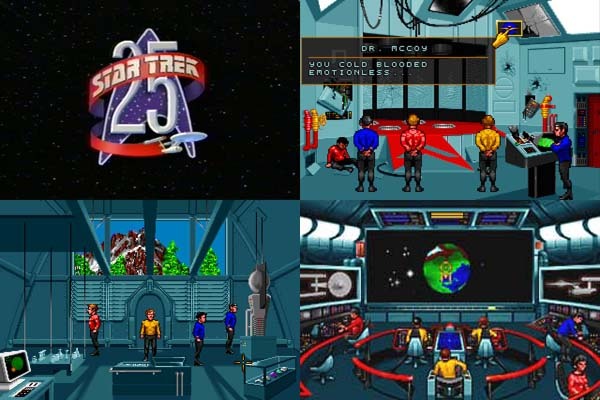 Who remembers playing these classic Star Trek Games from over the last couple of decades? 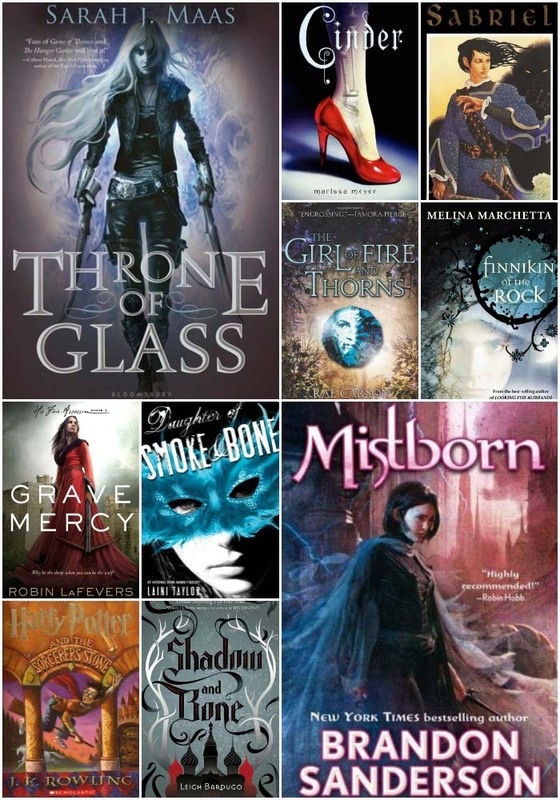 How many hours of your life has gone into these titles? 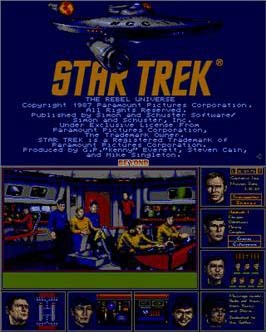 There are lots of Star Trek games which generally go a little under the radar, when you look back over your years of gameplay how many Star Trek games can you truly say have been all you hoped they would be? 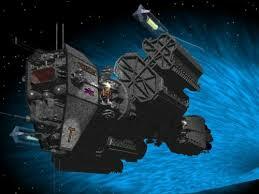 Well there are exceptions and this classic released on DOS back in 1992 is one of those exceptions! It was essentially and adventure game very much in the like of a NextGen series being split into several episodes, all this with original show cast voices with flight simulator style space battle mixed in to create a real authentic Star Trek experience. Do you remember playing this game? This classic single player action-adventure game was released on the Atari in ST 1987 and later on the Commodore 64 and PC. Gameplay placed you in charge of the Enterprise and her bridge crew as you attempt to solve a mystery which is affecting Federation Vessels. For it`s day the graphics were impressive and though many considered the game to be a great challenge there were some who accused the developers of rushing the game into shops and sacrificing some gameplay as a result. Do you remember The Rebel Universe, let us know what you think! 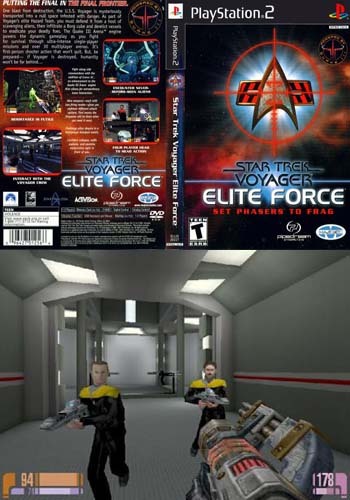 Voyager, Elite force on the Playstation is one of the most critically acclaimed Star Trek Video game in the last 20 years and indeed of the franchise`s history and it comes in the unlikely form of a first person shooter. This game was released to rival franchises like Quake and Unreal tournament at a time when first person shooters were all the rage and it came with a satisfying multiplayer environment which kept player interested. The new approach and stunning visuals made this game one to stick in the memory, do you remember playing Star Trek Voyager: Elite Force? 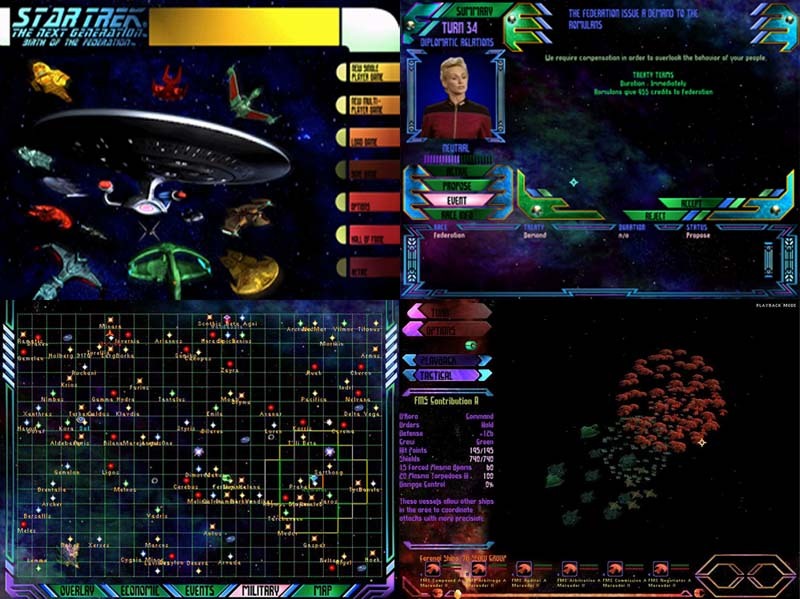 Perhaps the best Star Trek simulation of all time is Bridge Commander on the Pc, the challenging tactical system and beautiful, genuine looking visuals really immersed you into the Star Trek Universe as you took command of the USS Dauntless and the USS Sovereign. 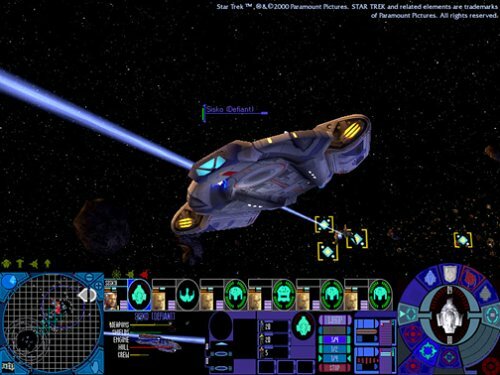 There were cameos from Star Trek canon characters in the story mode and the quick battle allows you to create your own dream scenarios for space combat which gave the game more longevity. Share with your friends if you lost days to Bridge Commander. 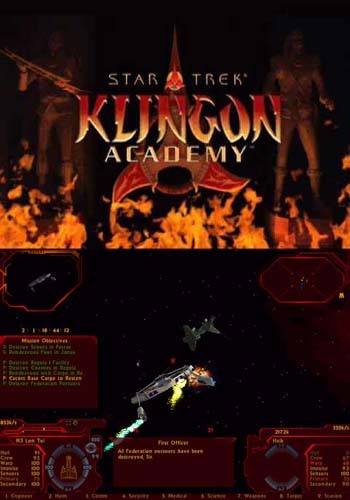 The Early 2000`s was a great time to be a fan of Star Trek pc games with some great titles having been released in this period and Klingon Academy is one of those games and it gave you the chance to know what it`s like to be a warrior in the Klingon Empire. You train under the greatest warrior in the Empire, General Chang at the Elite Command Academy as you prepare for war against The United Federation of Planets. Share with your friends if you enjoyed playing Klingon Academy? 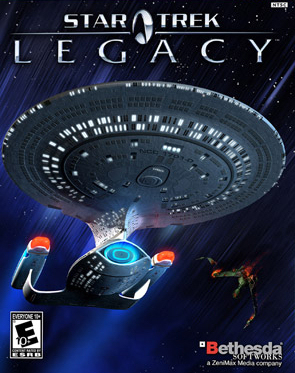 Star Trek Legacy had the makings of an epic game, great premise, it had smooth, real looking graphics for its day and initially great gameplay until you got into the actual playing of the game and it ended up being received with huge disappointment by fans of the genre. Manny commands were clunky and difficult, targeting was confusing and the whole thing was just awkward to play particularly on PC and I for one never finished the game which is very unlike me so it had to be pretty bad having promised so much. In it`s defence it bought together all the captains together in one place for the first time. Do you agree or did you enjoy the game? 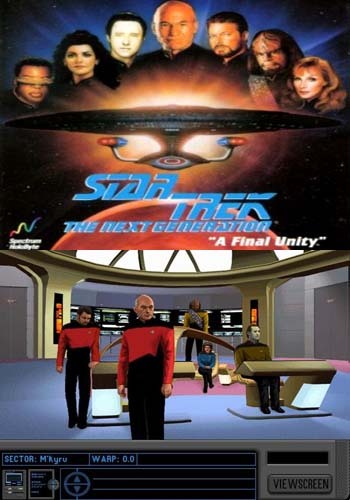 A Final Unity expertly captured the spirit of The Next Generation franchise with graphics which blew you away back in 1995 and voice acting from the entire Enterprise crew and a story line which was right out of a series of NextGen. The game had puzzle, strategy and adventure overtures and incorporated real time 3d space combat and cut scenes while you were on your diplomatic mission to stop a war. Share with your friends if you enjoyed A Final Unity. Star Trek: The Next Generation Birth of the Federation was an epic, large scale space strategy game on the PC which put you in control of one of 5 Star Trek Universe Empires in the Alpha Quadrant, The Federation, The Klingon Empire, The Romulan Star Empire, The Firengi Alliance and the Carsdasssian Union. The gameplay put you in complete control of your chosen fledgling empire including research, diplomacy and war, and it was hugely addictive. Despite generally excellent gameplay the game was dogged by bad AI and various gameplay bugs which often made it infuriating to play. Did you ever play Birth of the Federation? What did you think? DS9 is the most underrated instalment of the franchise in our opinion and this game gives players the chance to take control of the crew as they aim to prevent the Cardassians from getting their sneaky hands on an orb which would enable them to wrestle control of the entire quadrant. 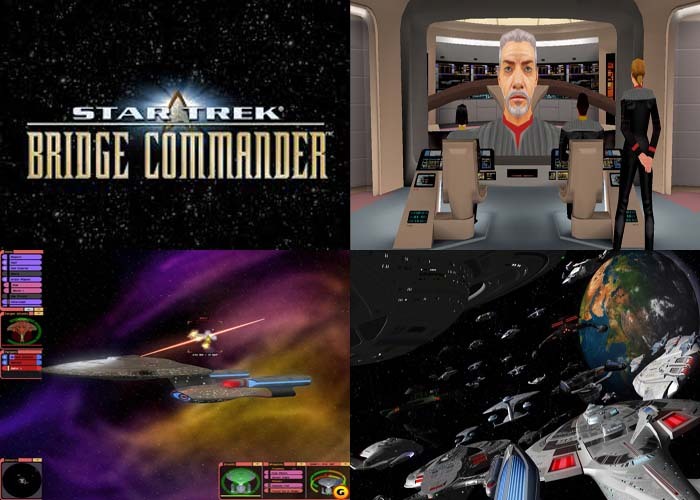 This was a great looking game at the time of release and it allowed you to play as three different characters, Sisko, Worf and Kira offering different perspectives of the game with real actor voices included and it was well received by both critics and gamers. Share with your friends if you loved Dominion Wars! Voyager, Elite force on the Playstation is one of the most critically acclaimed Star Trek Video game in the last 20 years and indeed of the franchise`s history and it comes in the unlikely form of a first person shooter. This game was released to rival franchises like Quake and Unreal tournament at a time when first person shooters were all the rage and it came with a satisfying multiplayer environment which kept player interested. 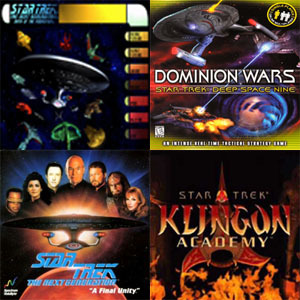 The Early 2000`s was a great time to be a fan of Star Trek pc games with some great titles having been released in this period and Klingon Academy is one of those games and it gave you the chance to know what it�s like to be a warrior in the Klingon Empire. You train under the greatest warrior in the Empire, General Chang at the Elite Command Academy as you prepare for war against The United Federation of Planets. Share with your friends if you enjoyed playing Klingon Academy?